Be the center of attention in La Femme 25294! 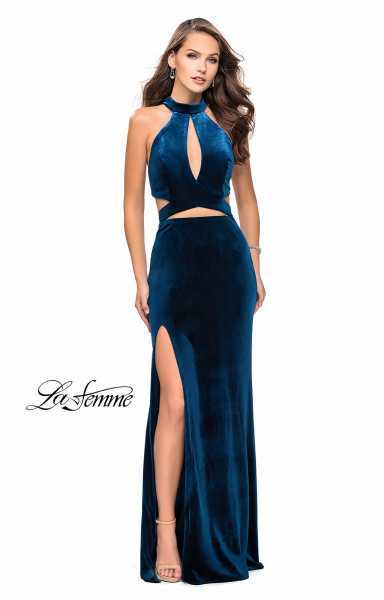 This fabulous velvet formal gown showcases a halter neckline with cutouts at the bust, waist, and back. The fitted silhouette draws the eye down to the thigh high slit. The lack of embellishments allows you to accessorize with shining embellishments!